Demographic changes, rise in disposable income, and a steady economic growth has led to a growing demand for healthcare services in Vietnam. In 2017, healthcare expenditure accounted for 7.5 percent of the GDP and between 2017 and 2021 it is predicted to grow at a compound annual growth rate (CAGR) of around 12.5 percent. Overcrowding, shortage of medical staff, and obsolete equipment for surgery and intensive care units are the major challenges in the healthcare sector in Vietnam. These issues have forced Vietnamese people to travel abroad for medical treatment, with overseas annual spending rising to US$ 2 billion. This further highlights the opportunities in the industry in areas such as healthcare services, pharmaceuticals, and medical devices. According to Business Monitor International (BMI), healthcare expenditure in Vietnam in 2017 reached US$ 16.1 billion, which accounted for 7.5 percent of the GDP. Healthcare spending is predicted to grow at a CAGR of 12.5 percent between 2017 and 2021. Between 2016 and 2020, pharmaceutical sales are predicted to grow the fastest at a CAGR of 10.5 percent, compared to medical devices and private healthcare spending, which will grow at 9.3 percent and 7.2 percent respectively. Pharmaceutical sales are predicted to grow from US$ 4.7 billion in 2016 to US$ 5.7 billion in 2018 and US$ 7 billion in 2020. Changes in living standards and an ageing population have led to the rapid growth in health expenditure. According to KPMG, expenditure is estimated to increase from US$ 16.1 billion in 2017 to US$ 17.2 billion in 2018, and close to US$ 20 billion in 2020. Since 2012, public healthcare expenditure overtook the private healthcare expenditure, largely due to the government’s social health insurance programs. From 2016 to 2021, public healthcare expenditure is predicted to grow at a CAGR of 9.5 percent, while private healthcare expenditure will grow close to 7.5 percent in the same period. Public healthcare expenditure accounts for more than half of the total expenditure and by 2021, its share is estimated to reach 58.1 percent. Vietnam has a decentralized system where provinces, districts and communes are given autonomy to implement their own healthcare policies. The organizational structure of the hospital or healthcare system in Vietnam is divided into four groups. Central level – The Ministry of Health (MoH) is responsible for the healthcare sector for the government and manages several institutions including hospitals, research institutions, and universities. Other ministries also run their own network of hospitals. Central-affiliated province/city – At a province or city level, there are several hospitals and medicals centres. In addition, they also have medical colleges offering medicine, nursing, and pharmacy programs. District – In the district-level, district health centres mostly offer medical and preventive services. Commune – Commune health stations focus on primary healthcare services at a commune-level. In 2016, there were 1,346 hospitals in Vietnam, which included 1,161 public hospitals and 185 private hospitals. The government health departments in the provinces and cities manage close to 80 percent of the public hospitals, while the Ministry of Health and Other ministries/State-owned firms manage the rest. The total number of hospital beds increased from 209,485 in 2011 to 254,885 in 2016. The public sector accounted for 240,700 beds, while the private sector accounted for the remaining 14,185 beds. The government aims to increase the share of private hospital beds to 20 percent of the total beds by 2020, through public-private partnerships. Both, the number of private hospitals and beds, grew at a faster CAGR than public hospitals. Between 2011 and 2016, the number of public and private hospital beds grew at a CAGR of 3.4 percent and 17.7 percent respectively, while the number of public and private hospitals grew at a CAGR of 0.8 percent and 6.8 percent respectively. 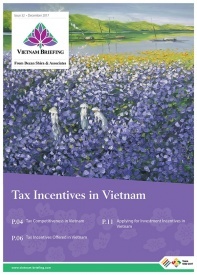 To meet the growing demand for healthcare services, foreign investments in the sector especially through M&As has witnessed rapid growth in Vietnam. Investors can invest in healthcare establishments, pharmaceuticals, medical devices, and medical training units. Foreign investments up to 100 percent are allowed in each of these sectors with certain conditions on the capital requirement. This form of business includes hospital, medical, and dental services. Homecare, nursing, and emergency evacuation services are subject to approval on a case-by-case basis. Capital investment for a hospital is US$ 20 million, while a polyclinic and specialized clinic would require an investment of US$ 2 million and US$ 200,000 respectively. Except for distribution, all activities such as manufacturing, trading, storage, and testing are allowed in this sector. Activities such as manufacturing, trading, and distribution are allowed in the medical device sector. Investors can set up a university or a vocational training unit for medical training and educational purposes. Capital requirement for a university is US$ 6,500 per student and a minimum of US$ 13 million. For vocational training and short-term training, the capital requirements are US$ 2,600 and US$ 900 per student respectively. Investment opportunities also exist in public-private partnership (PPP) projects. 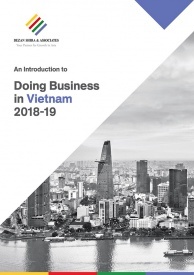 Vietnamese government on a central and provincial level have deployed numerous investment models to meet the growing demand for healthcare services and attract capital in the form of PPP in areas such as construction and management of infrastructure facilities, medical equipment, and training.